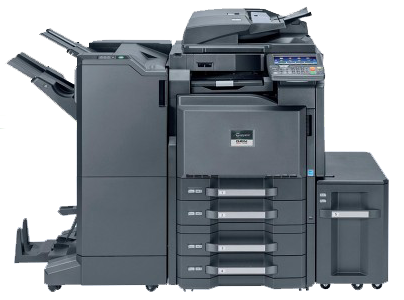 Photocopier machine for rent in Karachi Ricoh 3045 is a 45 page-per-minute copier. You can transform Ricoh AFICIO 3045 into a multi functional device by adding the printer, scanner, and/or fax options So, this choice is excellent for growing businesses. Ricoh large monthly duty rate 100,000 impressions this robust amount will be able to keep up with busy document traffic. Ricoh AFICIO 3045 will take single-sided input and convert it to double-sided output. As a result this will reduce your paper consumption by up to half and condense hard copy storage. The up gradable feature involves the memory it starts at 128 MB RAM. You can increase to 384 MB RAM. Moreover, the toner cartridge for the Photocopier for rent Ricoh 3045 has a projected page yield of 30,000. It is available in both the genuine Ricoh brand and Precision compatible. Document mall allows employees to securely store, edit, share and retrieve documents and ﬁles from their PCs via the Internet and securely scan hard copy documents directly from Ricoh 3045 MFP’s So, this powerful document management application is accessible 24/7. It provides businesses with a managed and hosted off-site environment that allows knowledge workers in remote locations. We design Ricoh 3035/3045 Series advanced security solutions to help safeguard your network. • Protect temporary data stored on the hard drive with Ricoh’s Data Overwrite Security System. • With Ricoh’s Removable Hard Drive, You can remove and store Ricoh 3045 Series’ hard drive in a secure location.